You can create a route in Movescount, or import a route created with another watch from your computer to Movescount. 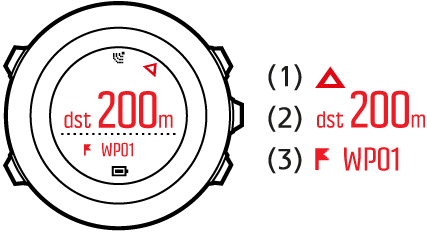 You can also record a route with your Suunto Ambit3 Peak and upload it to Movescount (see Recording tracks). Sync your Suunto Ambit3 Peak with Movescount using Suunto Movescount App (manually start sync, see Syncing with mobile app) or by using Moveslink and the supplied USB cable. 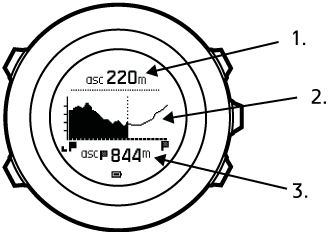 You can navigate a route you have downloaded to your Suunto Ambit3 Peak from Movescount (see Routes) or recorded from an exercise (see Recording tracks). 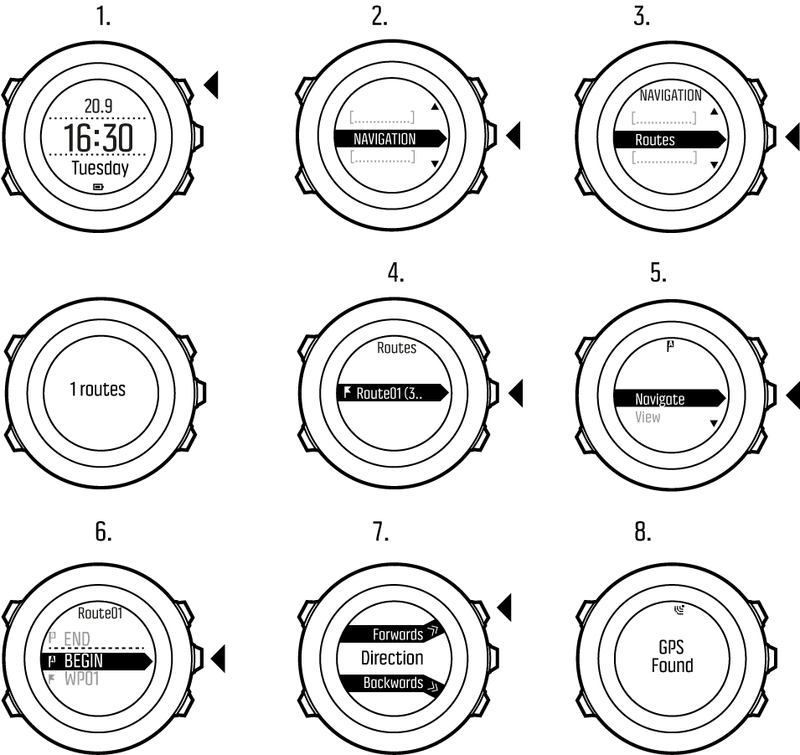 You can also navigate with sport modes (see Navigating during exercise). Press Next and select Navigate. Alternatively, you can select View to first preview a route and the altitude profile of the route. If you selected a waypoint in the middle of the route, Suunto Ambit3 Peak prompts you to select the direction of the navigation. Press Start Stop to select Forwards or Light Lock to select Backwards. 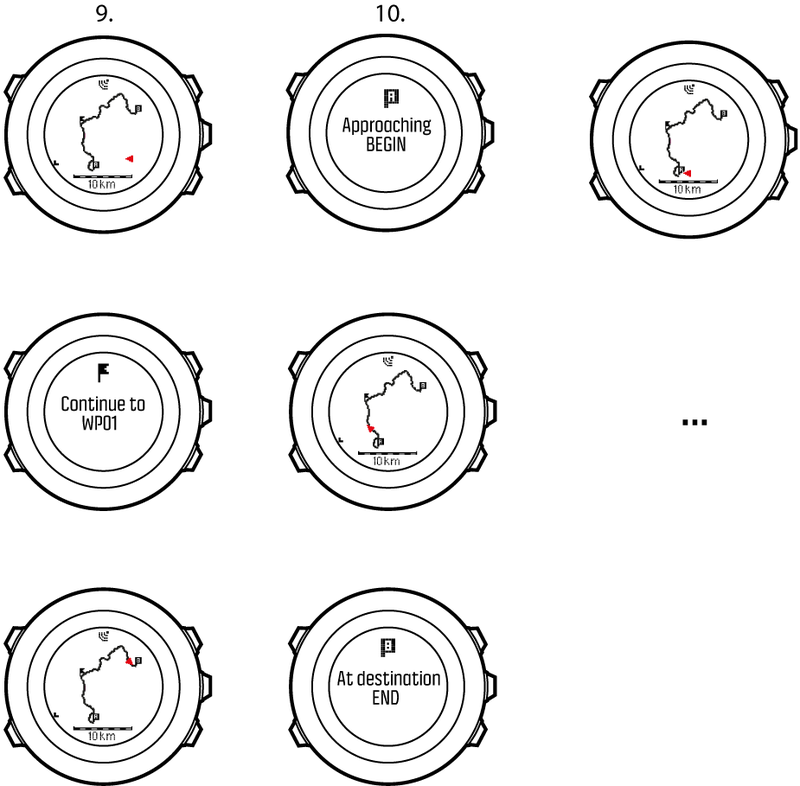 If you selected the first waypoint as the starting point, Suunto Ambit3 Peak navigates the route forward (from the first to the last waypoint). 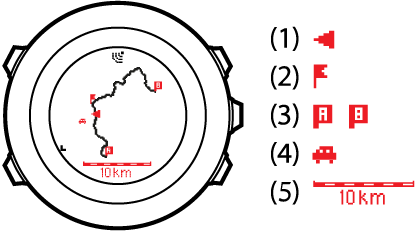 If you selected the last waypoint as the starting point, Suunto Ambit3 Peak navigates the route backwards (from the last to the first waypoint). If you are using barometer or automatic profile (see Matching profile to activity), you should change the alti-baro setting to altimeter for best altitude profile accuracy.